X-rays of your teeth are extremely helpful to your dentist. X-rays were accidentally discovered in 1895 when German physicist Wilhelm Roentgen was experimenting with electron beams in a special tube. Wilhelm placed different objects between the tube of electron beams and a fluorescent screen that started glowing whenever the beam was turned on. No matter which object he placed between the beam and the screen, the screen still glowed revealing the object. 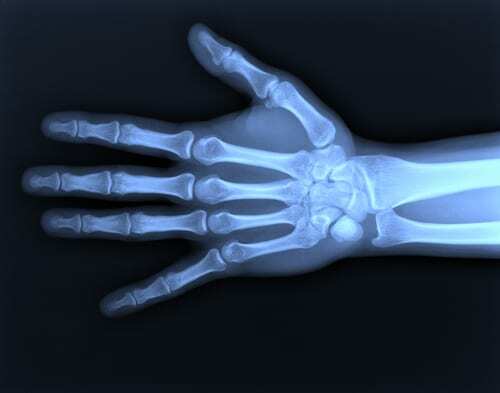 When Wilhelm decided to place his hand in front of the tube, he saw the silhouette of the bones in his hand on the screen and saw how they could hugely benefit the world of medicine. Two types of X-rays are used to help dentists take the best care of their patients: Film and digital. Read why Sherwood Dental chooses to use digital in our blog post 10 Important Advantages of Digital X-rays. In what ways do X-rays help a dentist? Have you ever wondered WHY we take X-rays? Well, now you know. Are you still wondering something about them or why we choose to use digital? Call us and ask your questions or leave a comment. You can reach Sherwood Dental at (780) 464-4166.